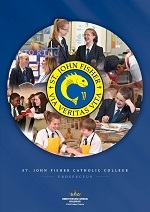 St John Fisher Catholic College is seeking to appoint casual exam invigilators. The college would welcome applications from all individuals looking to support pupils through their examinations and assessments. The successful candidates will be responsible and resourceful, with excellent organisational and communication skills. They will also have a keen eye for detail and have a general administrative background. This school is committed to safeguarding and promoting the welfare of children and young people/vulnerable adults and expects all staff and volunteers to share this commitment. This position is subject to a criminal records check from the Disclosure and Barring Service (formerly CRB) which will require you to disclose details of all unspent and unfiltered spent reprimands, formal warnings, cautions and convictions in your application form. For more information please contact Megan Walsh on 01782 615636.